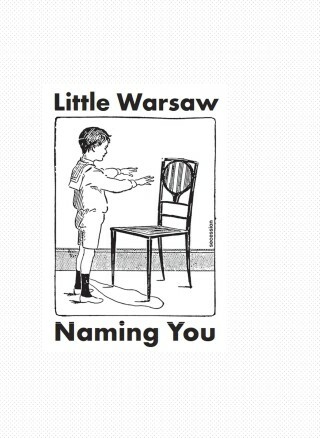 The two Hungarian artists András Gálik and Bálint Havas, who live in Budapest, adopted the pseudonym Little Warsaw in 1999, when they started creating joint projects. In films, performance pieces, and installations, they examine history and its interpretation, collective consciousness and established visual languages and traditions. Much of their work grows out of an analysis of the ways society engages with its history; the artist’s own role as a producer of images, objects, or situations that are embedded in, or reflections of, a (historical) context is up for debate as well, as is the perception of works of art as a dynamic process subject to change as social and political realities shift. One preferred strategy Little Warsaw employ in order to generate (renewed) awareness for what has been forgotten or goes unnoticed is the recontextualization or contextual displacement of monuments and artifacts, primarily by way of spatial—and hence contextual—transfer. 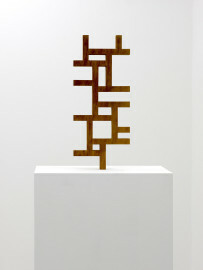 The temporary interventions are carefully designed to leave the physical integrity of the objects intact. 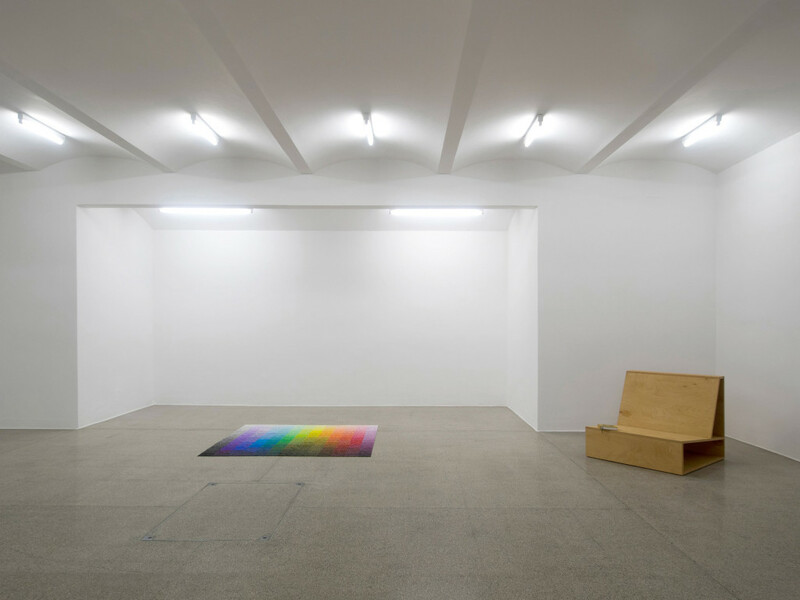 Relief, a color field mosaic on the floor of the first gallery, is based on the color sphere designed by the Bauhaus artist Johannes Itten. It is the result of a project for which a small number of people met in the artists’ studio on several occasions over the course of a year to assemble a variety of mosaic images while discussing the conditions of artistic production, collecting-related issues, and the art market’s mechanisms as well as therapeutic aspects of such meditative teamwork. The mosaics, ephemeral manifestations of the process-based project, were destroyed upon completion. Relief, too, will be short-lived in the form in which it appears here: after the end of the exhibition, the tesserae will be sorted by colors and stacked up in a dedicated custom-built storage cabinet. 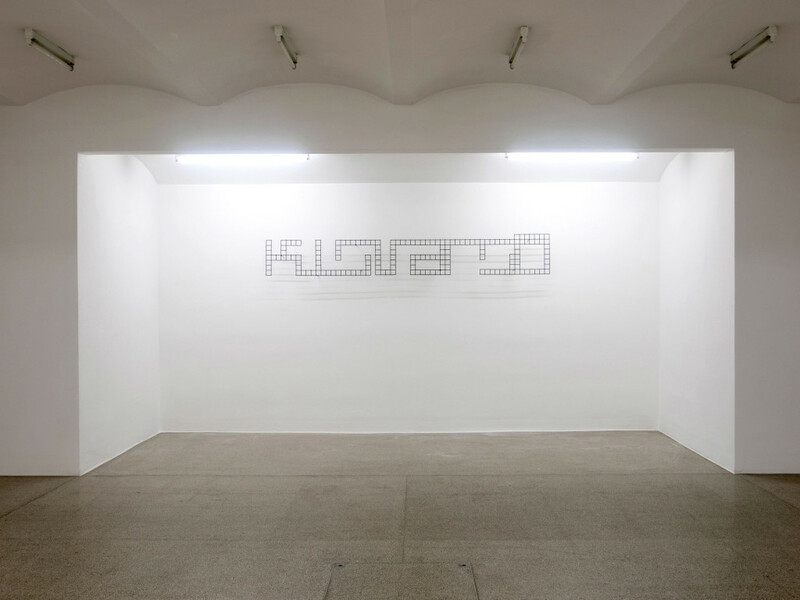 On the facing wall, stylized letters made out of iron bars spell the words Kis Varsó, Hungarian for Little Warsaw. 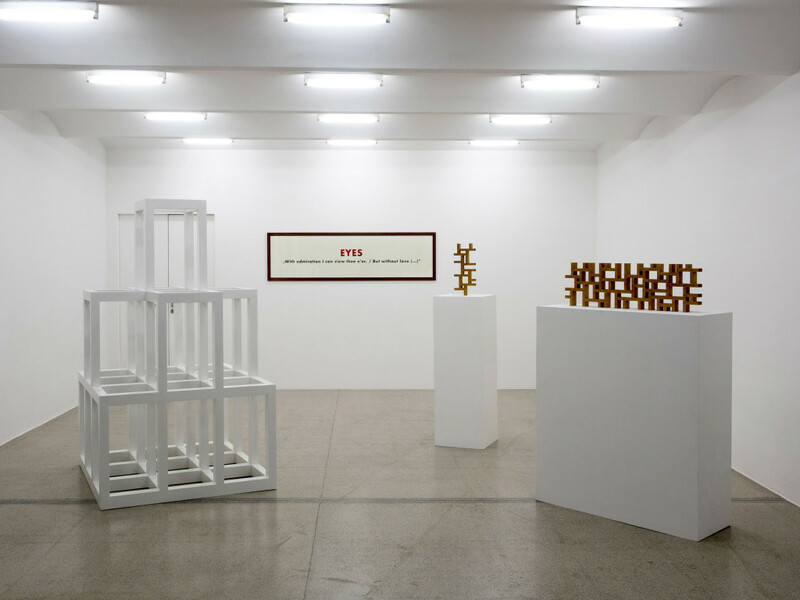 As the work’s title, LW Tag, suggests, it serves the artists as a logo of sorts. The display in the second gallery includes a sculpture by András Beck of a worker reading. 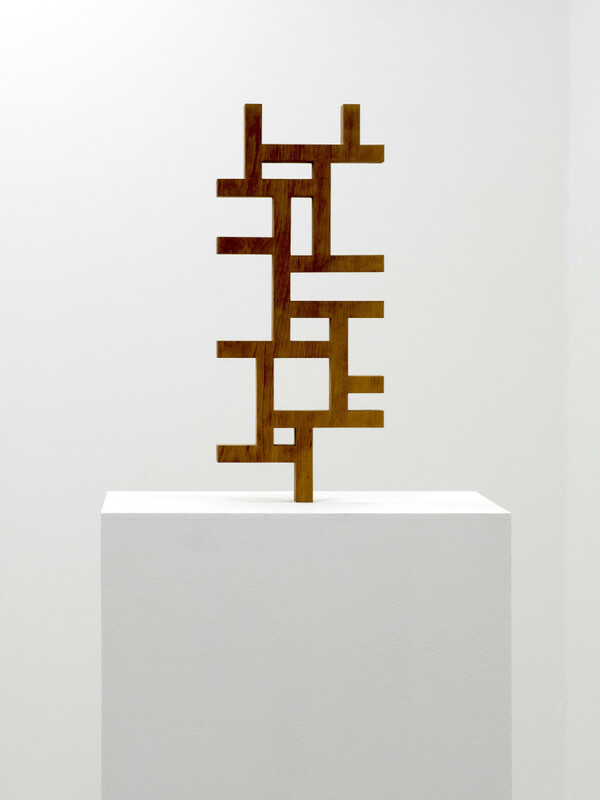 The statue, created in the 1950s, is a loan from Budapest’s Moholy-Nagy University of Art and Design. Beck originally conceived the sculpture as a monument for the Derkovits Community College, which he had cofounded in 1946, only to see it closed in the late 1940s. This educational institution sought to prepare the children of peasants and workers for administrative and political functions in the communist cadre system. Installed in the gardens on the university campus, the weather-worn sculpture goes almost unnoticed; extricated from its familiar setting and placed in the exhibition together with other historical documents, it lends itself to a new reading. Placed behind it is a series of photographs drawn from a Budapest archive entitled Unperson. 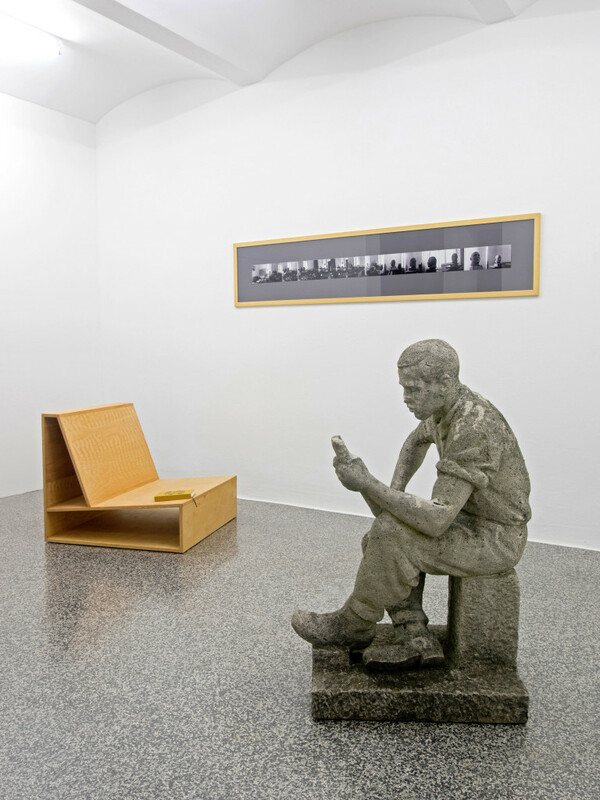 The pictures show Mátyás Rákosi, then secretary general of the Hungarian Working People’s Party, sitting for the sculptor András Beck, who is working on a bust. Rákosi, who described himself as “Stalin’s best Hungarian disciple,” was responsible for the authoritarianism that prevailed in Hungary until the mid-1950s. András Beck, for his part, left the country for Paris in the late 1950s, and once in exile, he disavowed socialist realism and his loyalty to the communist regime. 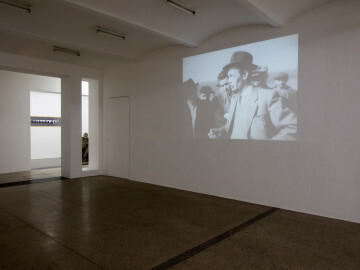 In the next room, the video Sculptor Machine intertwines two historic films from 1947 and 1953 that document two different realities of Hungarian history: one shows András Beck giving students of the community college he had cofounded a tour of a retrospective of the oeuvre of his father, the sculptor Ödön Fülöp Beck, at the Museum of Fine Arts in Budapest; the other, a reflection of the heavy emphasis on the promotion of agriculture in the propaganda of the time, shows János Gálik, an engineer at the Institute of Experimental Mechanics, introducing a group of farmers to a new Soviet potato planting machine. In the final ensemble of three works, Little Warsaw addresses the history of religious practice in Hungary, which was regarded as a signal of civil disobedience in the 1950s. In the third fragment of their novel, they write: “My ancestors on my father’s side were rather elegant Hungarian noblemen—lots of churches, lots of religious education. My parents went to church as a form of civil resistance. Later, when it was all right to do so, they didn’t go to church because it had lost its symbolic significance; the grain of resistance in it, the spice was gone. They took me with them from the age of three. Only enemies went to church in the fifties.” The geometric objects Belfry, Jaali—horizontal, and Jaali—vertical are scale copies of architectural details of the Városmajor Church in Budapest, built in 1932–33 after designs in the Hungarian Bauhaus style by the architect Bertalan Árkay. Jaali—horizontal and vertical represent the different types of church windows; the originals were cast from concrete. With the titles, Little Warsaw draw a connection to the latticed screens that are a characteristic feature of Islamic and Indian architecture; Lee Corbusier and others offered modern interpretations of this element. 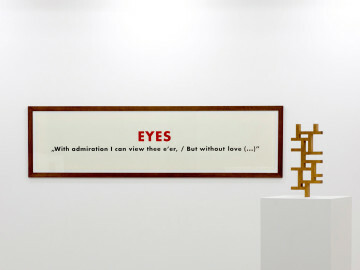 At the far end of the gallery, the visitor is challenged to reflect on his or her own involvement: the quote from a Hungarian romantic poem, entitled Eyes, explores the question of how admiration relates to love and may be read as an indirect reference to the beholder’s position vis-à-vis the work. András Gálik (born in 1970) and Bálint Havas (born in 1971) live and work in Budapest.